A specialized handmade kote padding that covers the knuckles, wrists, and upper forearm. A great product for women, children, and instructors dealing with beginners. 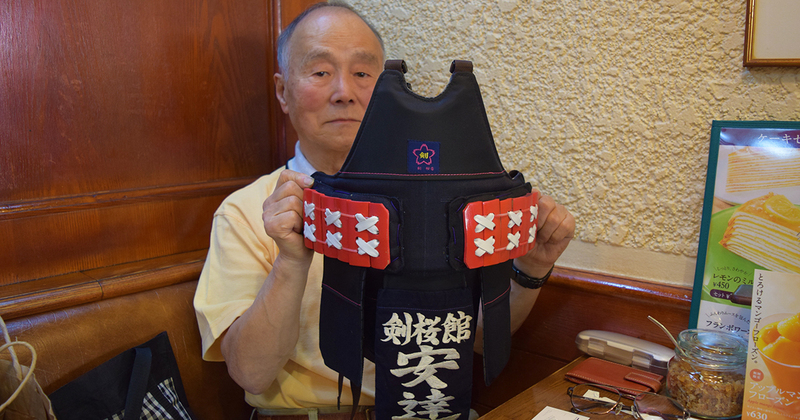 Adachi: When I first finished developing this kote protector, I brought it to Kenjiro Oka sensei who taught me kendo during my high school years at Ikubunkan. He scolded me and said, "Adachi, why would you ever think about making something like this? It's normal for kendo to hurt and it's normal for kendo to stink. If you took either of the pain or stink away, kendo won't be kendo anymore." However, Oka sensei had been using a set of high-quality tezashi kote from my workshop. The futon of that kote was thick and stuffed full of shock-absorbing deer fur. It's natural that traditional kote made in that manner wouldn't hurt. ーIn other words, the level of protection offered in modern-day bogu is different. Adachi: Most kote you see on the market use cotton as their main source of cushioning. This means that the more it gets hit, the more the cotton will compact and lose its shock absorbancy. The machine stitching and mass production only adds to exacerbate this problem. I personally think that it's a waste for people to quit kendo because of the pain or smell. ーWhy did you pick the word "Armour" as a choice of title? Adachi: I got my inspiration from historical Japanese drama; in them, you see swordsmen wearing this type of armour all the time. I tend to teach beginners quite often and their strikes would come down rather uncontrolled and hard. It was around 40 years ago that I decided to make this kote padding and it has been a big hit in our store ever since then. What's special about this protectors is that, unlike others on the market, it offers protection to your knuckles.